CBS All Access app is now released on Xbox One. Previously, CBS All Access app was released on Windows 10 Mobiles and PCs. 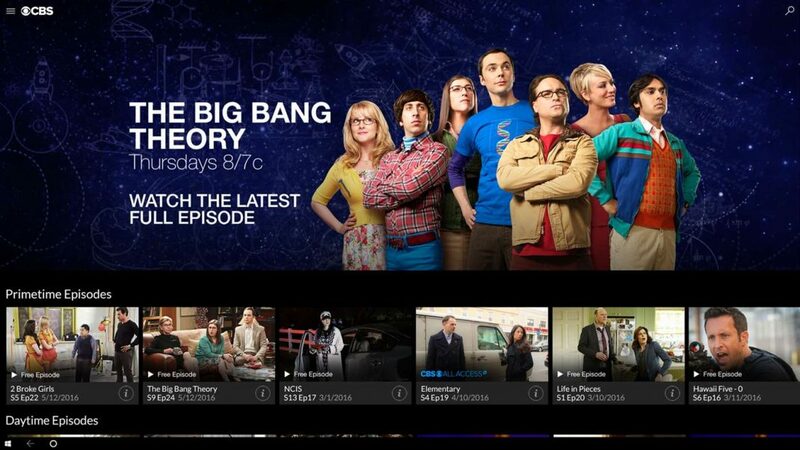 The app will allow users watch live CBS broadcasts and on-demand videos on Xbox One. CBS is also offering its service at a very low monthly fee for just $5.99. Star Trek series Star Trek: Discovery is coming exclusively on CBS All Access in early 2017. Meanwhile, you can watch CBS hit shows like The Big Bang Theory, Criminal Minds, The Mentalist, The Good Wife, NcisPerson Of Interest, NCIS: Los Angeles, Elementary and more.